Autodesk Nesting Utility is CAD-embedded sheet metal nesting software that helps optimize yield from flat raw material. 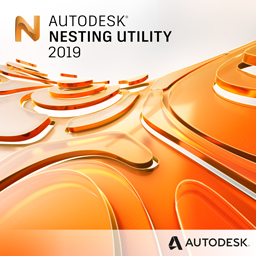 Available with a subscription to the Product Design & Manufacturing Collection, Nesting Utility works right inside Autodesk® Inventor® software, so nesting studies can be created and then updated to reflect any changes to the design. Easily compare nesting studies to optimize efficiency and reduce costs, and export 3D models or DXF™files of the completed nest for cutting path generation. Generate multiple sheet nests in a single study, allowing for multiple material and packaging options. Compare the efficiency and costs associated with different nesting studies to maximize job profitability. Specify allowable orientations to ensure consistent grain direction on all parts when required for aesthetics or to prevent cracking in subsequent bending operations. Establish dimensions for how close parts can be positioned together and distance from the edge of the sheet to account for the kerf of the cutting method being used and variances in stock sizes. Define material packaging with the thickness, size, and price of the stock you have on hand to enable accurate prediction of nesting efficiency and material costs. Create templates for each machine that are populated with commonly used materials, packaging, and nesting settings so you can more quickly setup and perform nesting studies. Edit individual nests within a multiple sheet study after initial calculation to fine-tune packaging, orientations, item separation, and material use. Add part or assembly files that were modeled directly inside Inventor or referenced in using AnyCAD technology into your studies to be nested. Nesting Utility also supports the option to import 2D DXF profiles. Inventor parts and assemblies used for nesting studies remain connected to the original CAD model—if changes are made, Nesting Utility can automatically update the existing studies to reflect any edits to the geometry. Automatically carry over material properties from the Inventor 3D model or define materials inside the nesting environment. Derive the quantity of parts required automatically from the assembly bill of materials or manually specify quantities during nesting setup. Set priority for each part in the nesting study and define smaller geometries as filler parts. Generate 3D models of your nests as Inventor parts for use in Inventor HSM to generate toolpaths, or export DXF files that can be used in your preferred toolpathing application. Contact us if you are interested in purchasing the Autodesk Product Design & Manufacturing Collection which contains the Autodesk Nesting Utility. Applied Engineering is authorized to sell Autodesk products throughout the United States and has offices in Minnesota, North Dakota, South Dakota and Wisconsin.